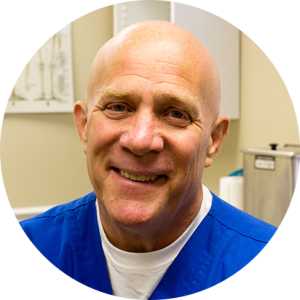 I have been a licensed chiropractor practicing in the Southwest Ohio area since February, 1982. We have seen and treated thousands of people in that time and have developed numerous techniques to help people regain their health. In our office we use four different chiropractic manipulative styles ranging from traditional to the newest techniques available. Some additional treatments that you might receive are: moist heat, interferential electrical muscle stimulation, and cervical and lumbar decompression, intersegmental traction, along with chiropractic manipulative treatment. One question that patients have asked me over the years is how I decided to become a chiropractor. The story goes like this; when I was 14 years old I was involved in a sledding accident that required complete bed rest for two weeks. This was accompanied by various pain relievers and muscle relaxers prescribed by my doctor. After two weeks I was able to get out of bed and resume my life but I continued to experience varying degrees of low back pain for many years after. By the time I was 22 years old I was unable to walk for more than 100 yards without experiencing pain, numbness and weakness in both legs and feet, along with severe lumbar pain. I was told that my condition would only be fixed by surgery. Fortunately, a friend of mine recommended I try a chiropractor. I didn’t have much faith in a non-traditional therapy but my friend countered my objections with “Well, what have you got to lose. You’re headed for surgery.” Thankfully, this logic rang a bell with me and I decided to give chiropractic a try. The chiropractor was able to get my low back pain and leg pain under control. I couldn’t believe it, so I brought my wife in to see if he could help her with some problems that she was having and he was able to help her as well. I was so amazed by our results and I could see that he was helping other people so I changed my major in college to chiropractic studies and have never looked back. Don’t be like I was and wait for years to get your life back in order, call us at (937) 836-1288 and we can get started making you feel better today!